On Thursday 31 July a group of students experienced firsthand what it feels like to ‘sleep rough’. 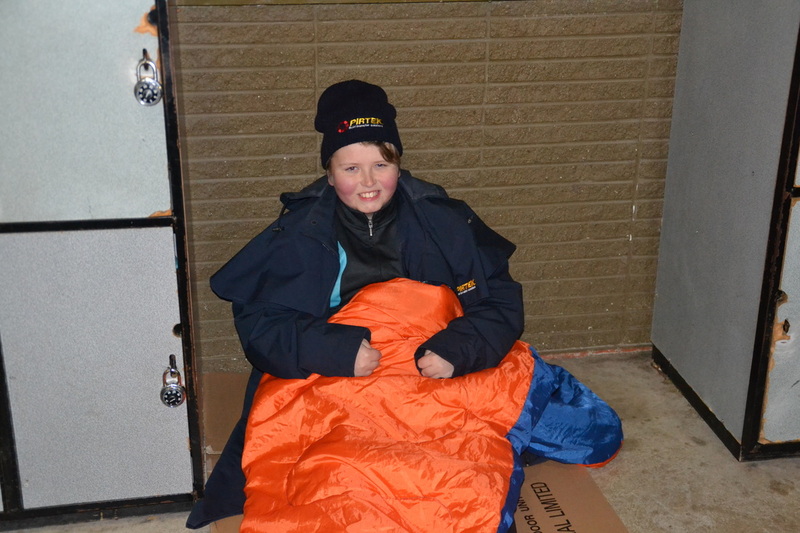 We slept out on the coldest night of winter so far. Over five and a half hours was spent outside going through different shelters to give us the feeling of what it is like to be homeless. Earlier in the night we had two fantastic guest speakers from the Salvation Army and Outpost. They shared with us their experiences with homelessness and gave us an insight into life on the street. At about 11:30 the kind teachers who volunteered their time to join us in the Sleep Out provided us with a warming cup of soup and a bread roll. Then, at 1:00am in the morning we trudged into the gym and fell onto our comfortable cardboard beds. 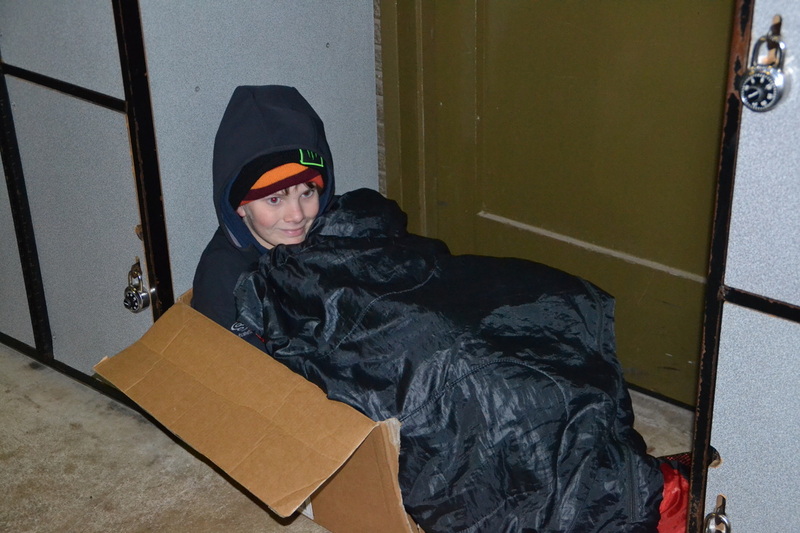 Everyone was able to bring in cardboard and a warm sleeping bag and we slept under the roof of the gym. Many homeless people do not have a roof over their head. Some of them won’t have big -10 degrees sleeping bags and almost no one will get to sleep in a gym. Most of us got some sleep before being picked up at 7:30am. We now know how tough homeless people have it and how hard their lives can get.